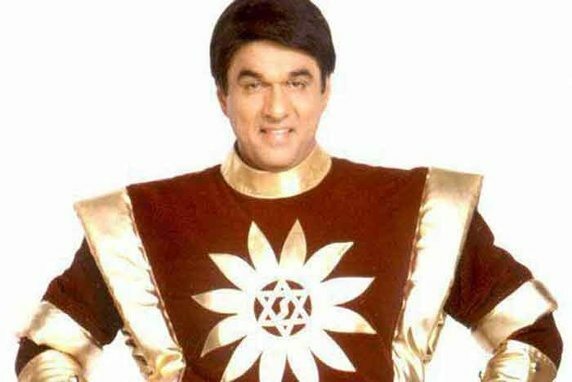 The first super hero of India was none other than our very own and beloved Shaktiman who flew in, conquered and ruled the hearts of every 90’s kids. There will hardly anyone who had a 90’s childhood and haven’t watched a single episode of Shaktiman. That was the popularity of the Mukesh Khanna starred TV series about a super hero and his fight with the evil forces. Shaktiman through was a fictional story, it also carried social and moral messages for a better community. Children were just crazy about the every Sunday telecast of Shaktiman and see their favorite super hero fight the bad forces in style. The story of Shaktiman starts from the ages of mythological saints. They were termed as Suryanshis in the TV serial who were behind the creating of Shaktiman so that he can fight the evil forces of the society. The peaceful humanity was disturbed since the start of Kali Yug and hatred started to fill in the society. Hence, the Suryanshis picked up Shaktiman and gave him spiritual training and showed them to get hold of the super natural powers. Shaktiman got to the super hero avatar by bringing all the five elements of life i.e. wind, sky, fire, earth and water in one place. Although, Shaktiman was the name of the superhero which we all know, he played a real life role of Pandit Gangadhar who was a news photo journalist of a TV news channel. He maintained the secret of Shaktiman from the rest of the world and always kept a very funny image before everyone. Vaishnavi Merchant was the leading actress of the TV show Shaktiman and was the love interest of the superhero’s real life avatar Gangadhar. However, the she was not the first one to play the role of Geeta Biswas. This role in the first few episodes was played by Kitu Gudwani. She was also a news reporter of the same TV channel where Gangadhar was working. She in fact first coined the name Shaktiman due t the hero’s fight against the evils and saving the society from bad forces. The main villain of the TV show Shaktiman was Tamraj Kilvish played by Surendra Pal. He was the commanding force of all the evil and bad forces in the universe and wanted to destroy humanity. Shaktiman was the only thorn in the way of Tamraj Kilvish to capture the whole of humanity and spread his evil darkness. He sent several evil soldiers to destroy the humanity in every possible way but Shaktiman stood tall and spoilt all their evil missions and saved the society from harm. 2 Vaishnavi Merchant Geeta Vishwas, a news journalist reporting news on Shaktman working in Aaj Ki Awaaz news. 3 Surendra Pal Tamraj Kilvish, the main commander of the evil forces of the universe and creator of all other evil villains. 4 Lalit Parimoo Dr. Jaikal who was a evil scientist and a close aid of Tamraj Kilvish. 6 Raju Shrivastava Durandhar Singh, the Editor of Aaj Ki Awaaz news. 8 Manjeet Kullar Kaushailyaa, the mother of Shaktiman and wife of Major Ranjeet Singh. Tamraj Kilvish was the main force behind the destruction of the society by sending his soldiers and attacking the humanity. He was the king of the darkness and had the Pap Punja with him. That was the source of all the evil in the universe. He wanted to acquire the Shakti Punja to have full control of the universe. His main aid was a crocked scientist named Dr. Jaikal who helped Tamraj Kilvish to produce new evil forces to finish Shaktiman and the entire humanity. The several evil forces sent by Dr. Jaikal and Tamraj Kilvish were Stone Man, Plastica, Electric Man, Shalaka, Teemiraa, Kapala, Toy Man, Kakodar, Matandeeka, Maharani Mayadri, Kalushaah, Behroopiya, Sunanda, Khali-Bali, Pretolla, Kitanuman, etc. The names of the villain characters might seem funny in the present day, but these were the reasons why children and adults too were glued to their TV sets every weekend. Shaktiman was so popular that there were comic books, Shaktiman suits, Shaktiman school bags, etc. available in the market for the little fans. In a recent announcement, actor Mukesh Khana has stated that Shaktiman might return very soon in Indian television again with its 2nd version.